My specialty is music and video recording, mixing and processing. For over twenty years, I specialize in visual interface design for web based applications, as well as content development and programming. 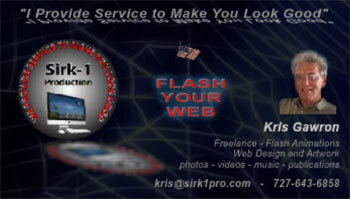 The Sirk1production service is much more than just taking pictures and videos. I plan and work together with you to create a time line of the most important images for your project. I design and produce a wide verarity of video projects. 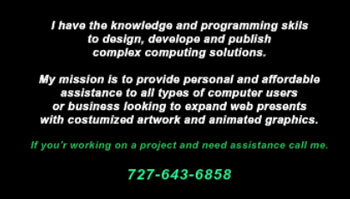 I take photos, shoot video clips, record, mix music and process the data to fulfill the project needs. My designs appeared in magazines and internet on world wide web with a high level of engineering, functionality and a high standard of appearance and response.